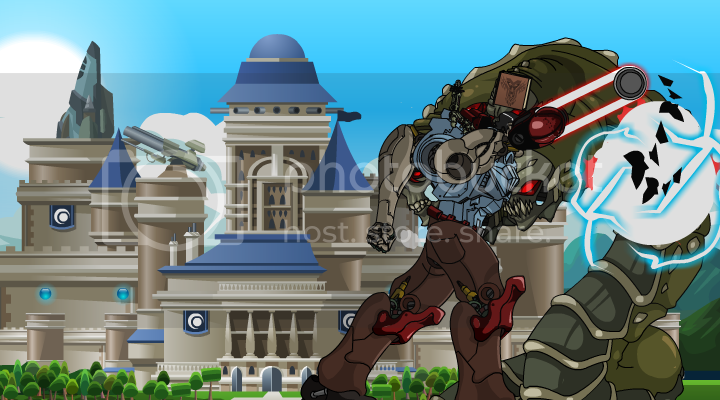 Description: This Mecha is a vicious fighter with multiple dismemberment attacks and Damage over Time weapons! Has a tendency to spew goo... This version levels up to 32! "Lacerated Coolant Line" - DoT effect for 3 turns. Against Equippable enemies: "Severed Connector" - Disables any of the default weapon. "Sharpened Blades" - Critical Chance +80 for that turn. Most of the time, it does double(or more) damage than the damage shown while attacking. Description: Who needs a hand when you can have a chainsaw instead? This weapon is very good at chopping up mecha parts! 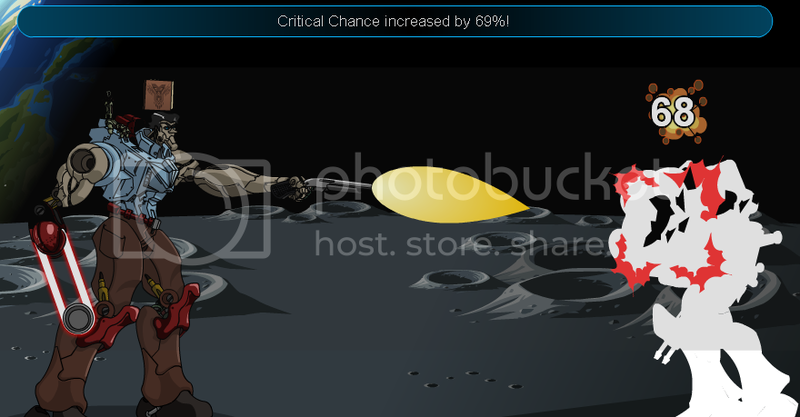 "Crit Chance increased by x%" - Increases x% chance to do a critical hit where x is a random number between 40 and 70. "Blown Fuel Line" - Energy Leak - EP DoT for 3 turns. Against Equippable enemies: "Critical Hit Special!" - Does a critical hit and disables weapon at the same time. "Evil Hand Grips Internal Systems" - 2x Damage Over Time for 3 turns. "Soul Has Been Swallowed" - 1.3x Damage Over Time for 3 turns. Description: This is a rare lost edition of the Mechronomicon. This book emanates dark power! "Goo of Healing!" - Heals you while your enemy dissolves. (Heals your HP Over time and does Damage over Time for enemy) Lasts for 3 turns. Description: A terrible spewing goo attack that heals you while it dissolves your enemy! "Killer Chin Laser Melts Your Circuits!" - Damage(Boost) decreased by y where y is usually ranging from 10-25. Critical Chance increased by x% where x is between 40 and 70. Description: A chin mounted laser?